At your local Madison, NJ, dental office, Adams Dental, sealants are a great option for both adults and children. It effectively “seals” the deep grooves in teeth, acting as a barrier to protect enamel from plaque and acids. Think of how fast children brush their teeth. 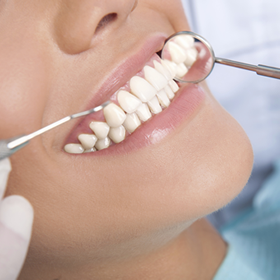 Do you really think they are doing it effectively — especially on hard-to-reach back teeth? Sealants are a tooth-colored coating that’s highly effective in preventing tooth decay on the biting surfaces of the back teeth. Easy to apply, sealants take only a few minutes to seal each tooth, and they hold up well under the force of normal chewing and can last several years before a reapplication is needed. Find out how both children and adults can benefit from sealants in the fight against tooth decay.